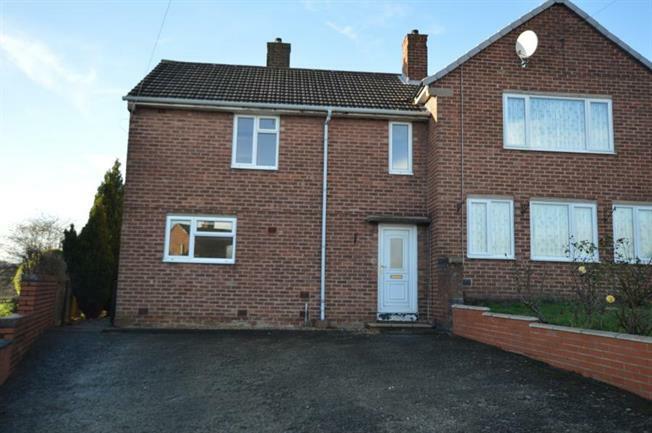 2 Bedroom Semi Detached House For Sale in Chesterfield for £119,950. Situated in a quiet cul-de-sac location this two bedroom semi-detached property is the perfect investment or home, complete with off street parking. The property is neutrally decorated throughout. Downstairs there is a large kitchen diner, plenty of space for cooking and entertaining around a table. There is a large living room overlooking the rear garden complete with fire. Upstairs are two large double bedrooms, both complete with built in storage. There is enough space to adapt the property to gain an en-suite and still have two double bedrooms. The bathroom is complete with a white three piece suite with shower over bath, low level flush and wash hand basin. Outside the property has a large rear garden, enough space for summer entertainment while also being private and enclosed for security. The front of the property has off street parking, enough space for two cars. The property is situation in Dunston and is ideally placed for bus services, transport links to the M1 motorway and is a short distance from local shops and amenities. Call Blundells Now to view!